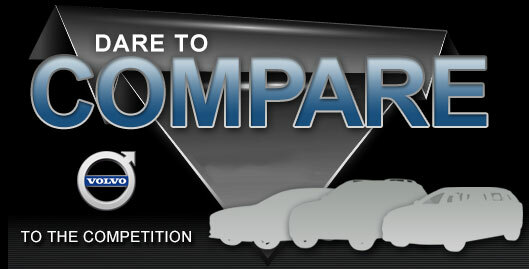 It's competitive enough to go toe to toe with rivals from BMW and Audi, but if you're having a hard time figuring out where to place your hard-earned money, see what critics have to say. Jalopnik calls it "fun enough to be the perfect fast family [car]." The Car Connection says it's got "some of the best seats in the business" and that it's "just as capable as an SUV." Edmunds.com says it offers a sportier engine upgrade and more affordable price than the BMW 3 Series wagon - and the list of compliments goes on. After checking out its cabin features and engine specs in our 2017 Volvo V60 review below, visit Volvo Cars of Phoenix to take this award-winning wagon for a spin! Stop by to see the 2017 Volvo V60 in Phoenix and explore its trim lineup, which includes the V60 T5, Premier, Platinum, Dynamic, R-Design and Polestar. All models include Bluetooth Hands-Free Phone and Audio Streaming, steering wheel audio controls, voice recognition technology, the Sensus Connect system with a free six-month subscription and USB/iPod inputs. The R-Design is a good pick if you're looking for sportier underpinnings; it looks the part with 19-inch alloy wheels, R-Design dual tailpipes and an R-Design steering wheel, and acts the part with a sport-tuned suspension. For even greater athleticism, the Volvo V60 Polestar offers Brembo brakes, summer tires, Polestar shock absorbers and other performance features. 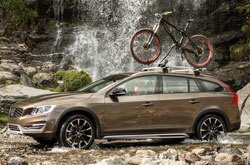 The Volvo V60 delivers fun performance with a 2.0-liter turbocharged four-cylinder engine that makes 240 horsepower and 258 lb-ft of torque. The engine is mated to an eight-speed automatic transmission and features stop/start technology to conserve fuel. Front- and all-wheel drivetrains are available. On select trims, a retuned version of this engine provides 302 hp and 295 torque. Visit our dealership to test out the 2017 Volvo V60 in Phoenix and see which powerplant is best for you! Along with earning an IIHS Top Safety Pick+ award, 2017 Volvo V60 reviews say the wagon offers a load of safety features. Standard equipment includes but is not limited to: Dynamic Stability Traction Control, Advanced Stability Control, City Safety Low-speed Collision Avoidance, numerous airbags, front seat whiplash protection and emergency brake assist. Technologies like blind spot monitoring and forward collision mitigation are available as options. 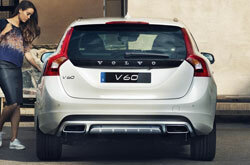 Uncover All the Latest Info on the Volvo V60! If you've been looking for vehicles like the 2017 Audi A4 Allroad Quattro, Subaru Outback and the Volkswagen Golf SportWagen near Phoenix, you should think about the 2017 Volvo V60. 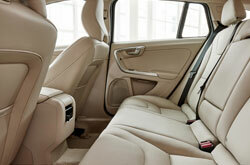 Its multitude of cutting-edge features and eye-catching design may be just what you need from a car. After using our 2017 Volvo V60 review and compare page, view hot-off-the-press current financing offers online! 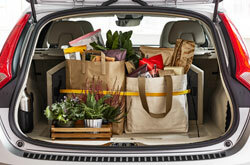 Find factory offers on the fashionable Volvo V60 at Volvo Cars of Phoenix, a resident dealership with a topflight selection of Volvo models. We've provided this 2017 Volvo V60 review because it's essential to make an intelligent decision when you're purchasing a car. 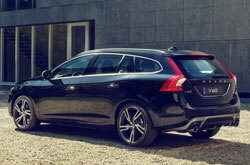 Get all set to be in awe with the stately Volvo V60 for sale in Phoenix, AZ. Call to schedule an appointment for a test spin at Volvo Cars of Phoenix. Can't wait to see its design before you stop by? Play our video clip to get a peek at its cabin amenities!